Heel Touches is a great exercise to target the oblique muscles. Heel Touches also engage the rectus abdominis and transverse abdominis. Heel Touches is a short, compact exercise that creates a strong contraction on the oblique muscles. It will help develop mobility, stability and flexibility in the hips and lower back. 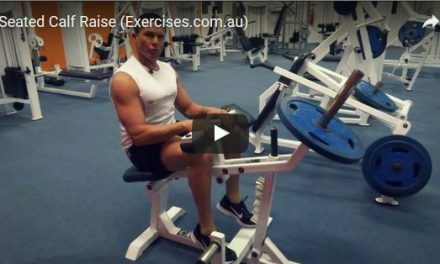 This is a valuable exercise to include to activities that require strong, stable hips such as judo, mountain climbing and football. Lie on the floor with your legs bent at a 90 degree angle. Tilt your hips toward your torso and keep your lower back flat. Raise your shoulders above the floor and maintain that position throughout the exercise; keep your eyes focused on the ceiling. Reach out to one side and touch your heel with your hand. Return to starting position and bend to the other side and touch the other heel with your other hand. Repeat the exercise until you have completed the targeted number of reps for both sides. Maintain the flat back position throughout the exercise to reduce compression forces on your lower back. Do not tuck you chin into your upper chest and maintain a neutral position on your neck. Focus more on getting a good contraction and stretch on the oblique muscles than on the number of reps performed.